While up to 20% of the daily water requirements can be gotten from foods, a good way to ensure you’re drinking enough water is to carry a water bottle wherever you go. If you don’t drink enough water, especially on hot days when you’re outside working, running or mowing your lawn, then you can become dehydrated. Older people and those with certain medical conditions are more susceptible to dehydration. Frequent urination due to uncontrolled diabetes or using diuretics. Decreased blood flow to the extremities. It can stress the heart, cause people to feel tired and listless, impair thinking and cognitive functions, and prevent you from sweating. In severe cases, it can result in shock and death. A dry or gummy mouth. Lower than normal urine output. Sunken soft spot on babies. Mild dehydration can be treated by drinking water and other fluids like sports drinks. However, if you or someone you know has severe dehydration symptoms, go to the hospital immediately or be seen by a doctor right away for treatment. 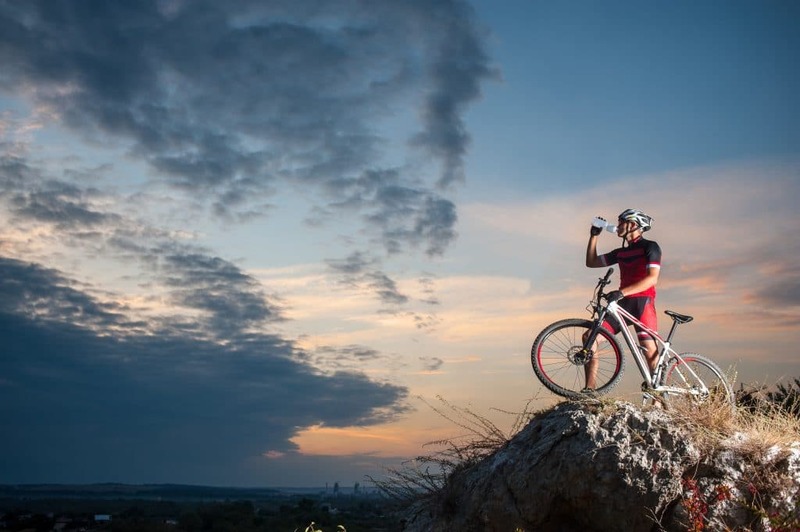 Whether you’re an amateur athlete playing in a softball league or a professional cyclist, dehydration can take its toll on your performance. Even low levels of dehydration, as low as 2%, can cause athletes to feel fatigued and it can strain their bodies. Endurance is affected because dehydration can cause the heart to work harder and it depletes the oxygen uptake level during training or competitions. As a result, the muscles can become deprived of oxygen, which affects the ability to compete at an optimal level. The muscles also are affected because electrolytes are often lost when a person is dehydrated. They can start cramping due to the loss of sodium, potassium, magnesium, and the other nutrients found in electrolytes. Muscles also become weakened, making it more difficult to left weights, climb, or jump. Dehydration can affect an athlete’s focus too. When your body doesn’t get the fluids it needs, then your organs will be affected. It can cause slow nerve responses between the brain and the rest of your body. It can result in confusion, poor decisions, slow reflexes, and fatigue. However, by drinking water or sports drinks during workouts and while competing, you can keep your body sufficiently hydrated. That is why you will see football, basketball, and other professional athletes frequently drinking from water bottles on the sidelines. 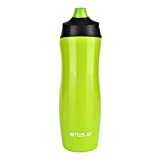 Water bottles are easy to procure since they are sold in grocery and department stores, and they are often used as promotional products and given away. They are available in several sizes, from small eight-ounce bottles to 40 or 64-ounce jugs. Most companies that produce plastic products have switched to BPA-free plastic. However, these plastics many contain Bisphenol-S or Bisphenol-F and there is some research showing these chemicals can also disrupt cell functions like BPA does. 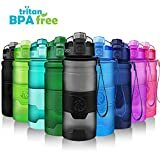 If you want a lightweight bottle to carry with you, then Tritan copolyester may be a better option than BPA-free plastic bottles. It is a thermoplastic that is clear, heat resistant, durable, and it is dishwasher safe. 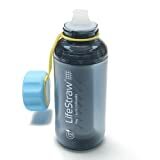 It also resists odors, stains, and it doesn’t alter the taste of the water in the bottle. This material was introduced by the Eastman company in 2007, so it is too soon to determine if the product is 100% safe. They are more expensive than most plastic bottles but less than other options. An alternative to plastic bottles is food-grade stainless steel water bottles. Companies like Swell offer a variety of stainless steel bottles in different sizes and designs. The advantages of a stainless steel bottle are that it is durable, available in a wider variety of colors, won’t contain plastic toxins, they are usually dishwasher safe, and lightweight. However, they can get hot on a sunny day, and the water may develop a metallic taste. Some companies make water bottles out of aluminum. However, aluminum bottles require an inner lining because aluminum reacts with liquids that are acidic, such as lemonade. The liner may be made from either epoxy or enamel. There are some concerns with aluminum bottles containing epoxy liners because they can contain small levels of BPA. Also, some of the linings are not recyclable, and they are difficult to clean because the bottles usually have narrow openings. Many people consider glass water bottles the best water bottle option because they are recyclable, and glass is made from a natural material, sand. A glass bottle also provides a cleaner taste than plastic or metal bottles. The main drawback to glass is that it can easily break, chip, or crack if dropped. Shatterproof glass can be heavy, so it may not be the type of bottle you’d want to attach to your belt. Also, when the sun shines through glass, it generates heat and anything inside of the bottle would become hot. To help keep water cool when it’s inside a bottle, you can choose from a variety of insulated bottles. They are made from several materials, including aluminum, polypropylene, and stainless steel. An insulated water bottle is vacuum sealed, so there is no air from which to transfer heat. When you put cold water in the bottle, it will stay the same temperature it was when put into the bottle. How to drink from it. The size of the opening. How to carry it with you. Along with the size, color, and material, you will also need to consider how to drink from the bottle. Many caps on water bottles have spouts that open by pulling them up, and they close by pushing them down. To drink from the spout, tip the bottle up and squeeze it gently to push the water from it. Another option is a spout that folds over and allows you to drink, or take a sip, from it like you would a straw. The caps on metal bottles need to be unscrewed and taken off to get a drink, but the cap is usually attached to the bottle by a handle or holder to prevent it from being lost. 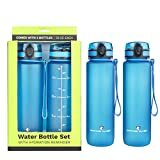 While most aluminum and stainless steel water bottles have narrow openings for filling them from a water tap, some models have wide mouths. A wide mouth on a bottle makes it easier to clean because you can put a bottle brush or sponge in it. It is almost impossible to do so on bottles with narrow mouths. 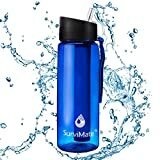 Water bottles come in a variety of brands and styles, so whether you buy a brand name one like a Swell water bottle or a generic water bottle, consider the material used to make the bottle, the size of its opening, and the size you’ll need for staying hydrated.